History is finicky. While some make the leap onto his merry-go-round, thousands, sadly more “hers” than “hims,” fall while grasping at his slippery reins. 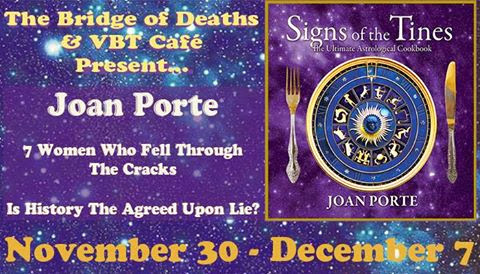 This week we will astrologically explore the lives of some forgotten women of history. After witnessing a lynching of three black men blamed for shooting white storeowners, she stirred her readers to leave Mississippi because it was no longer safe for them. More than 6000 African American’s heeded her call and left the state. Thousands of others boycotted stores until the practiced stopped. She then penned a pamphlet entitled, “Southern Horrors: Lynch Laws in All Its Phase,” and took her crusade to end lynching North - calling attention to the rampant use of this torturous and illegal act. 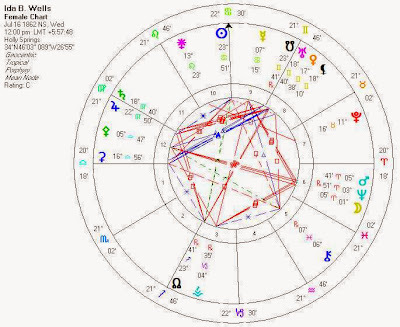 With her South Node in Gemini, her North Node, indicating the lessons the soul desired to learn in her current lifetime, was in the opposite sign, Sagittarius. We should use our South Node in service to the embodiment of the North to realize our full potential and she did that beautifully. Gemini, ruled by the fast planet Mercury, is the communicator. It is the sign obsessed with quickly gathering and distributing information. Sagittarius, ruled by the enormous planet Jupiter, is the seeker of spiritual and philosophical truth. Ms. Wells used the communication skills she honed in her previous lives as a Gemini in service to her North Node, Sagittarius. She used her Gemini pen to demand the Sagittarian values of truth, freedom, and inclusion. *For more information on the North and South Nodes see my blog, joansastrology.blogspot.com. or visit her blog at www.joansastrology.blogspot.com. Download her podcast Astrological Cooking at http://webtalkradio.net/internet-talk-radio/astrological-cook/. Amy Johnson and her love of aviation saw her become the heroine of the sky. Born on the 1st July 1903 in Yorkshire, England, she was introduced to flying as a hobby. On the 6th July 1929, she gained her pilot's licence. During that same year, she became the first woman to gain her ground engineer's 'C' licence. With the help of her father and Lord Wakefield, she purchased her first aircraft, a second hand de havilland Gypsy Moth, nicknamed Jason. 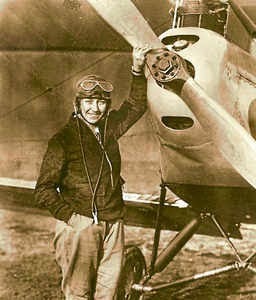 In May 1930, she achieved worldwide fame by becoming the first woman to fly solo from England to Australia, for which she received the Harmon Trophy and a CBE. Flying solo or with her husband Jim Mollison, Amy went on to set numerous long distance records during the 1930's. In 1940, Amy joined the Air Transport Auxiliary, flying planes for the war effort, delivering them to various bases around the UK. War planes were ferried between factories, maintenance units and front line squadrons. During the course of the war, 1245 men and women from various countries ferried 309,000 aircraft of 147 different types. They did so without any instrument flying instruction, without radios and were often at the mercy of the weather. It was also not unusual for them to be asked to fly planes they had never flown before. On the 5th January 1941, whilst flying an Airspeed Oxford, Amy went off course on account of bad weather, and it was assumed at the time that due to running out of fuel, she bailed out, landing in the Thames Estuary. What was a routine flight, taking around ninety minutes, had actually taken her nearly four hours. Amy had set off from Scotland, bound for RAF Kidlington, Oxford. She had taken off during bad weather, in conditions that might have deterred a more cautious pilot. Her Commanding Officer, Pauline Gower, defended Johnson's decision to fly that day, stating that the aviator would never do anything reckless. However, given Johnson's previous record of long distance flights and unnecessary risk taking, perhaps that particular day was simply one risk too far. I think it's fair to state that even the greatest among us can make a mistake. Amy Johnson was the nation's aviatrix, the Queen of the skies, and as such she had been placed upon a very high pedestal indeed. When she ditched into the Thames estuary, she was about 100 miles off course. The weather – thick, freezing fog - made for extremely poor visibility and extreme conditions on the ground. HMS Haslemere was docked nearby at the time and crew saw a parachute descending through low cloud. Shouts for help were heard from a woman who stated that she was Amy Johnson, and she was clearly seen by one sailor. Attempts to rescue her failed, and then a motorboat was launched, from which Lieutenant Commander Fletcher dived into the water in an attempt to reach her. well as the extreme weather conditions meant that Fletcher lost his hold and he was himself rescued by his crew. By this time, there was no sign of Amy Johnson. She was last seen floating towards the stern of the Haslemere, and it was deduced that she was dragged below the icy waters, presumably killed by the ships propellers. The Admiralty statement at the time even reported that two survivors from the aircraft were sighted in the water – a man and a woman. We will never know the truth until the Government release the official records. However, there have been many rumours over whom this mystery male passenger might have been. Some have suggested he was Amy's lover, and they were fleeing the country. Why would they flee at such a time? Other reports have suggested that the passenger might have been a spy. One possible answer is that there was no passenger and it has already been stressed that Amy was flying solo. However, the pigskin overnight bag which she took with her could well have been mistaken for the head and shoulders of a person in the water. 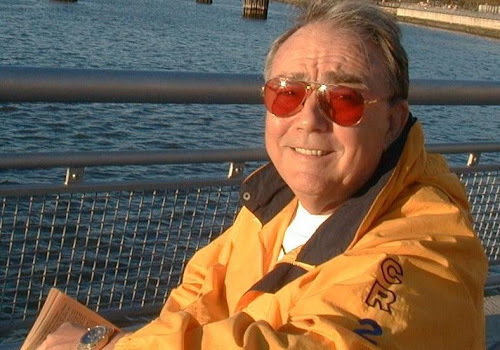 Lieutenant Commander Fletcher was unconscious by the time he was dragged from the water. He was taken to hospital, but he died, never regaining consciousness. In May 1941, he was posthumously awarded the Albert Medal. The first of two theories that exist are that Amy ran out of fuel. This seems likely as she only had enough fuel for around 3.75 hours and this was approximately the time she was in the air as the Ministry reported. So, she had no option but to bail out, and she might well have believed herself to be over land at the time. The second theory, which was raised much later, is that she was the victim of friendly fire. 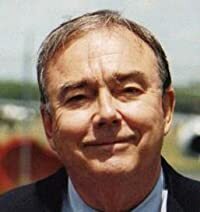 Back in 1999, Tom Mitchell claimed he was ordered to fire on a plane that failed to give the required signal that it was a British plane. Tom was one of four gunners on duty at the Thames Estuary that day. When he read of Amy Johnson's probable death the following day, he realised that the plane he had believed to be an enemy plane, might have been Amy Johnson's. Officers at the time told the men to remain quiet about the incident. Indeed, David Luff, an aviation historian has claimed in the past that she was fired upon by a naval convoy, and the incident hushed up by the Government to avoid damaging public morale. 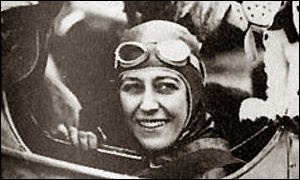 However, the Royal Air Force Museum in Hendon, South London remain certain that Amy Johnson became lost in the clouds and ran out of fuel. More than likely, upon seeing barrage balloons, she would have thought she was over land when she prepared to bail. It was unfortunate that barrage balloons were being flown at the time by a convoy in the Thames. Had it been dry land, it would undoubtedly have been a very different situation. The fact is that until the official records are released, nothing is certain. One thing that is certain, however, is that Amy Johnson was an icon and an aviation pioneer, bringing delight to the nation, and she remains Britain's most famous female aviator. She died doing her duty for King and country, and we will always remember her as we remember all those who died. 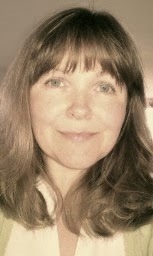 I'm Suzy Henderson, a writer who lives in Cumbria, England. I've been writing for several years and I'm presently in the midst of completing my début novel. History is my passion, particularly military history and I've chosen to focus upon the Second World War for the basis of my novel. There are so many untold stories from this period, always heroic and always evoking feelings of amazement and awe. My inspiration firstly came from my family history and their connections to both World Wars. There after it arrived in the shaping of words written by many authors, in particular, Pat Barker, Hilary Mantel, Ernest Hemingway and Sebastian Faulks. When I'm not writing I can be found spending time with my family and dogs, walking in the Lake District. The movie portrays the American crew of a B-17 Flying Fortress, known as the Memphis Belle, who become the first crew to complete their tour of 25 missions, thus being allowed to return home. 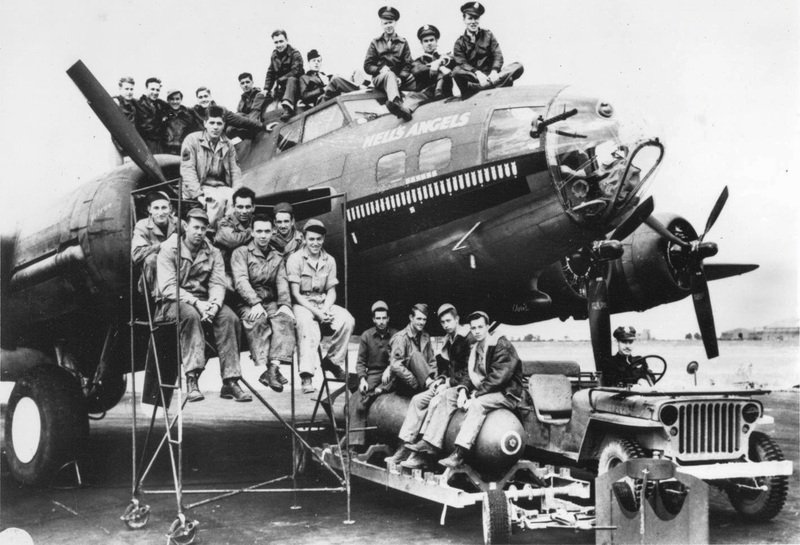 In reality it was the crew of the B-17 ‘Hells Angels,’ who completed their tour first. 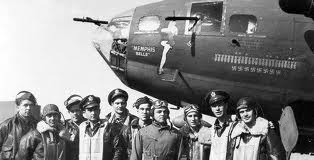 They flew their 25th mission on the 13th May 1943, whilst the crew of the Memphis Belle flew their last mission on the 19th May 1943. The difference was that the crew of the Belle were first to complete 25 missions AND return home to the USA. They then took part in the Government’s drive to sell war bonds. The Belle is also credited with being the first Eighth Air Force bomber to complete 25 combat missions over occupied Europe without having a single crew member killed or badly injured. Meanwhile 'Hells Angels' continued on, completing a second tour before returning home to the USA. propaganda helped to propel the sale of war bonds, thus assisting with the financing of the war. Even today, the Liberty Foundation offer ground tours of the Memphis Belle, and depicts on their website how she was the first B-17 to complete a tour of duty. And so the false legend lives on. Moving away from aviation, the Hollywood movie, U-571, portrays the American navy as being the first to retrieve an Enigma code machine from a sinking German U-boat. In reality it was the British crew of HMS Bulldog who did so, in the North Atlantic in May 1941. In general, probably the biggest discrepancy in movie portrayals is the glorification of war. The portrayal of the hero/protagonist and the romantic sub-plot are generally two of the key ingredients. Reality is different and war is anything but glorious but then I'm sure most of us realise that. As for the hero of the hour, as any of those who served will say, they did what they had to do. Nothing more and nothing less. They took on the might of the German Army and Luftwaffe and they coped with it and there's nothing romantic or glitzy about that. Of course they all remain heroes, and deserve the honour and prayers bestowed upon them. We will always remember them. 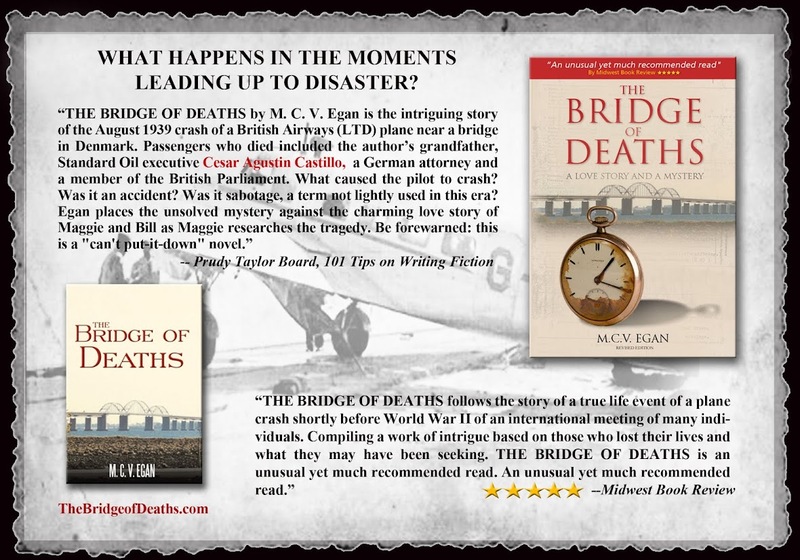 My love of aviation and my interest in the Second World War led me to the premise for this novel. What began as a historical work of fiction, with the added romance element soon evolved into an in-depth address of the psychological and social effects of war upon Airmen. More directly, I began to examine the care that was given to those who survived the flaming inferno of a plane. Sometimes, the injuries resulted as a consequence of frostbite which could be most severe when flying at twenty thousand feet. Gunners, especially those incarcerated in their turrets were most at risk. Whilst heated flying suits might have provided some protection, they relied upon the electrics of the aircraft. If those were not working then the men were at great risk. During my research I encountered the work of the leading plastic surgeons of the day. Faces were rebuilt, noses were reconstructed, along with eyelids and lips. And it was such pioneering techniques that have helped to transform the lives of people over the decades that followed, leading up to the present day. It really was amazing work, with injuries seen during the early days of the war that had never been witnessed before. 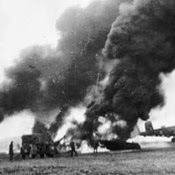 Those injuries were often the result of burns sustained in the aircraft, such as when the petrol tank of a Hurricane exploded or from flak exploding inside a Bomber. One doctor in particular, Sir Archibald McIndoe, honorary president of the Guinea Pig Club, features in the novel. 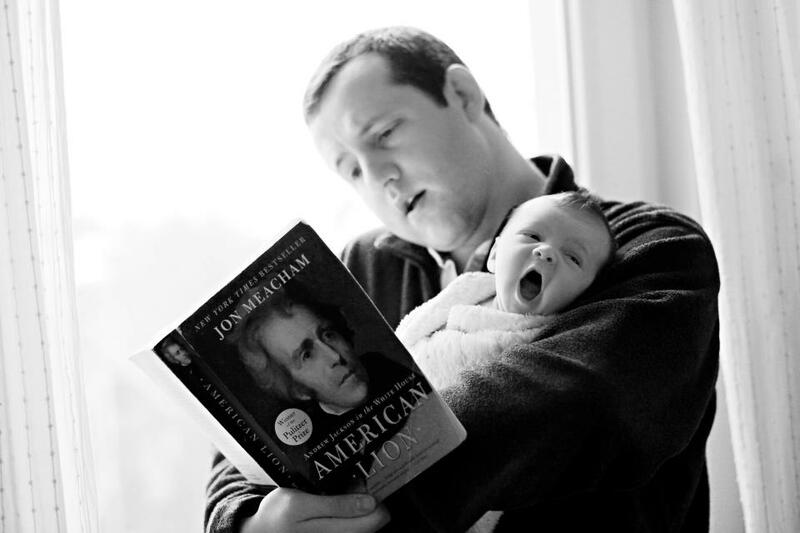 He was truly extraordinary and reading about him compelled me to portray his achievements. McIndoe was a pioneer in his filed and a man of extraordinary vision, skill and strength. Rather than treating the men physically, he found himself concerned with their psychological and social well being, keeping in touch with the servicemen he treated for many years following the war, a direct result of the annual reunions of the Guinea Pig Club – a club which still holds reunions today, although its members are rapidly diminishing, given the number of years that have passed since its inception. Membership of the club which was formed in 1941, was strictly limited to those who had sustained burns and received treatment by McIndoe. One such member, Richard Hillary, a pilot who sustained horrific burns, would return to flying later, only to be killed when his Bristol Blenheim crashed during a night training flight, also killing his sergeant radio operator - observer, Wilfred Fison. This happened on the 8th January 1943, at Crunklaw Farm, Berwickshire, Scotland. A short time before the crash, McIndoe had written to Hillary’s Commanding Officer requesting that he be removed from operational flying as he had some concerns. Sadly, due to one thing and another, the letter was not acted upon in time to save Hillary. Think about Stonehenge and what comes to mind? For most folks, it’s the Druids. And while this association is noted in my novel Shadow of Samhain, and the famous landmark is on the cover of this book, I have learned in my research for this book that Stonehenge was not exclusive to the Druids. In fact, the famous megalithic site has been said to exist long before there were Druids. 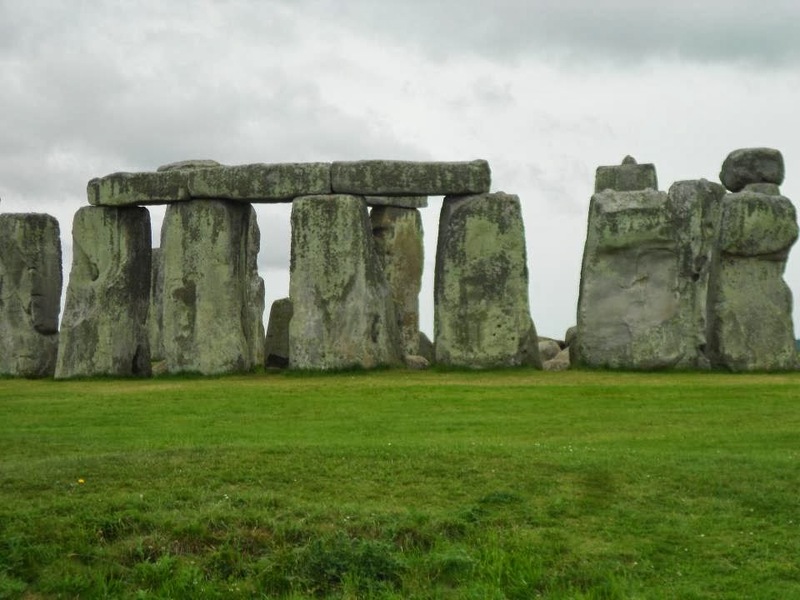 Where did Stonehenge come from? Some say it was created by Merlin, the famous wizard of legends who himself was actually a Druid. Another theory is that Stonehenge was built by the Devil or that the aliens were responsible for it. Yet another theory is that Stonehenge was built by ancient giants. The mystery of who was responsible for the creation of Stonehenge lingers even today, but one thing about Stonehenge is no mystery. 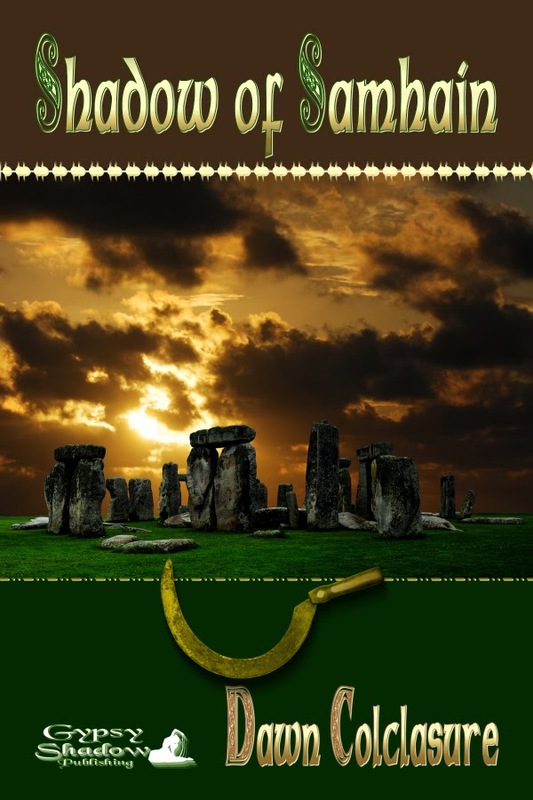 Many people have paid close attention to how the stones of Stonehenge seem to align with constellations, as well as the sun and planets on certain days. For this reason, many have concluded that this site is used for pagan rituals and sacrifices. Indeed, many believe that people have indeed been sacrificed at Stonehenge, and it is not unknown that various occult groups have worshipped there in the past. One group most associated with Stonehenge are the Druids, and many people believe that Stonehenge is a “Druid site.” The popular belief is that the Druids built Stonehenge for their special days and rituals (or, at least, Merlin did), and therefore it’s exclusively a “Druid site.” The Druids of today do indeed observe the solstices at Stonehenge (in fact, they are more closely associated with Stonehenge today than they have been in the past), and many of the order are working on efforts to preserve the ancient monument. However, Stonehenge has also been a place used for other purposes, and by other groups. Stonehenge being the kind of monument that it is, it was naturally used as a place of worship. In fact, there is evidence a “sun cult” existed many years ago, a cult that worshipped at Stonehenge. Another way Stonehenge has been used is as an “astronomical calculator” of sorts. The ancients relied on the placement of the stones to mark lunar and solar alignments, as well as sunrise and sunsets. This, however, remains an idea that’s only a theory; some debate exists that the ancients were not “smart enough” to understand the heavens or to be able to determine such times of days. And, finally, New Age enthusiasts, pagans and “earth worshippers” visit Stonehenge (or try to get as close to it as they can) in order to reconnect with earth energy. Ley lines, invisible lines in which a site is aligned with a certain point that increases its mystical energy, have been discovered beneath Stonehenge, adding to the mystery surrounding its origin. Regardless of how Stonehenge has been used, and by whom, it remains today one of the most magnificent and longstanding ancient structures on this earth. In this author’s opinion, I think Stonehenge is an attractive, mystical site that should be appreciated and preserved. 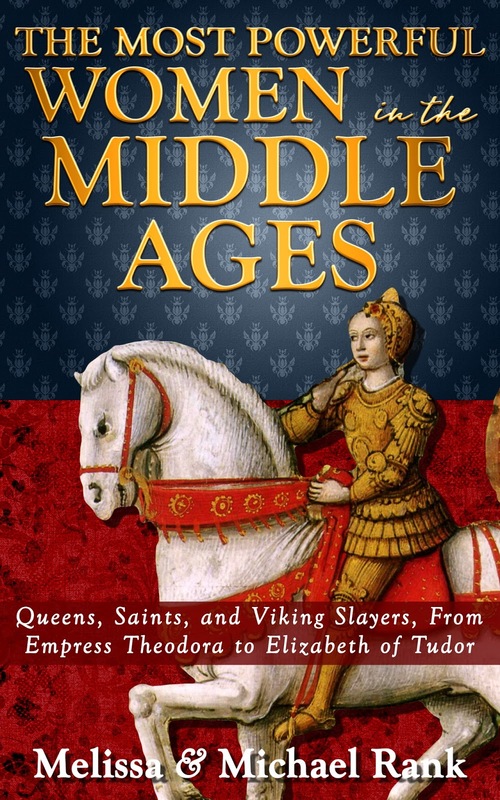 A major discrepancy in history – and one which my book discusses – is the role of women in the Middle Ages. The image that springs to mind is a damsel in distress who sits in a high tower wearing a traffic-cone for a hat and who waits for a knight to rescue her from her captors. Once freed by this knight, she is shoved into a forced marriage, breeds sons for her husband, and keeps her mouth shut in public. If not, she is burned at the stake as a witch for expressing independent thought, because that is what people did to women in the Dark Ages. Such ideas about the Middle Ages are dominant, and they would be very convincing if not for the fact that they are almost completely fictional. 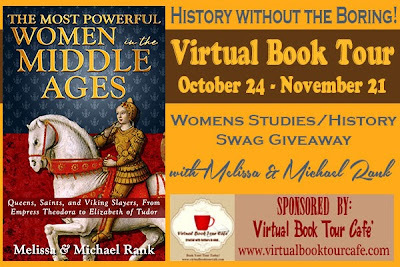 It is true that women typically had fewer legal and social rights as men in medieval times. But the idea that the period from 500 to 1500 AD was a time of stagnation is based more on the ideology of historians in recent times than any truth about the past. “The Dark Ages” was invented during the Enlightenment Period as a way for scholars to look upon the past as a period of less-developed civilization. Protestant scholars in particular depicted this period in this way due to the corruption of the Catholic Church. The more romantic depictions of medieval women, knights, chivalry, and jousting tournaments come from the period of Romanticism, which originated in modern Western Europe. Medieval costumes and symbols became all the rage in the 19th century. German emperors dressed up in such clothing at public balls. In Victorian England, the ruling class held reenactments of tournaments. And the idea of a passive lady-in-waiting that existed throughout the Middle Ages solidified in the public consciousness. This mythical woman had all the virtues of a Victorian lady who espoused sexual restraint, was kept in idle luxury, and held a strict social code of conduct. As a result, the concept of a medieval woman has largely been filtered through Victorian ideals. This was a time in which British females lacked suffrage rights or the ability to own property. It is from this time that the image of a woman wearing a traffic-cone hat emerged. 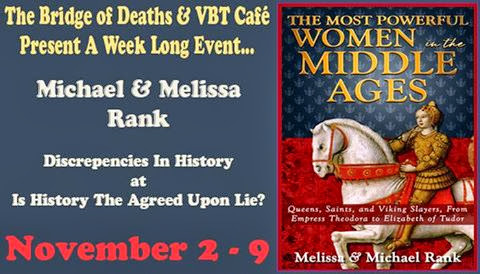 There is a second misconception of medieval women that has come from modern-day academic historians. In a well-meaning attempt to give medieval women a stronger voice, they have essentially turned the most notable figures of this era into 21st-century feminists. Joan of Arc is credited with challenging the gender norms of her era by wearing men's armor into combat and cutting her hair short. Catherine of Siena is imagined to have challenged the patriarchal world of the Catholic Church by sending letters of rebuke to the pope. Anna Komnene, the world's first female narrative historian, is thought to have crafted her history for the sole purposes of giving a stronger voice to women. But we do not see such sentiments in any accounts of these women's lives. No woman under consideration in this book challenged the idea of a patriarchal world. Catherine of Siena may have rebuked popes, but she never called on them to install female priests or bishops. Joan of Arc may have dressed as a man in combat, but she preferred to wear a dress while in prison and forbade other women from joining her in battle. 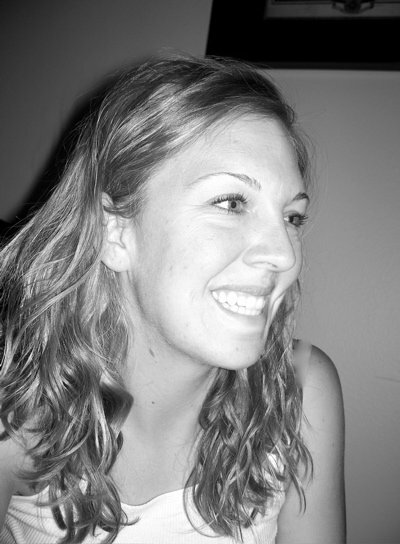 She believed that her circumstances were unique since she had been called by God. So we see that attempts to foist our own idea of who medieval women actually were fail to capture them in all their complex glory.